Wide receiver Damon Nolan fights for extra yards against No. 9 Missouri Valley on Nov. 5. 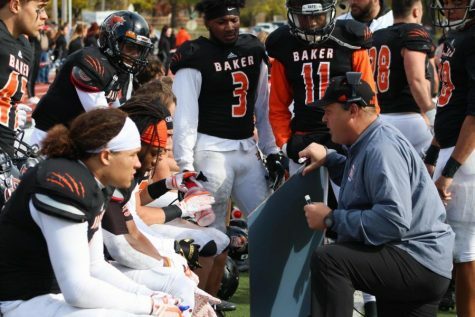 Baker passed for 355 yards and two touchdowns in its 31-28 win. Image by Elizabeth Hanson. The No. 2 Wildcats trailed No. 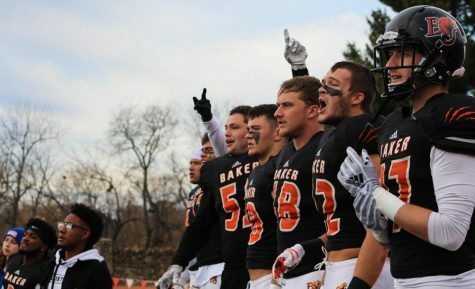 9 Missouri Valley 28-24, and their perfect season was on the line when the Baker offense marched out onto the field with 1:54 to play on Saturday. 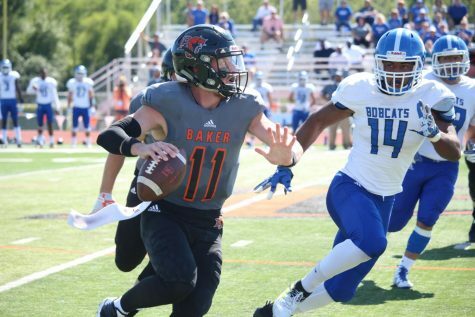 Junior quarterback Logan Brettell then led Baker 68 yards down the field in only six plays, and junior running back Cornell Brown scored the game’s winning touchdown with 46 seconds remaining. The Wildcats won 31-28 in their most exciting game of the season and kept their perfect record intact. The Wildcats, now 10-0, have won 10 or more games for the third time in the last four years. 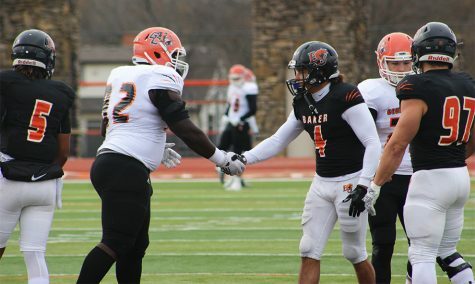 The win gives the Wildcats at least a share of the Heart of America Athletic Conference South Division title, with a chance to win it outright against Evangel next Saturday. 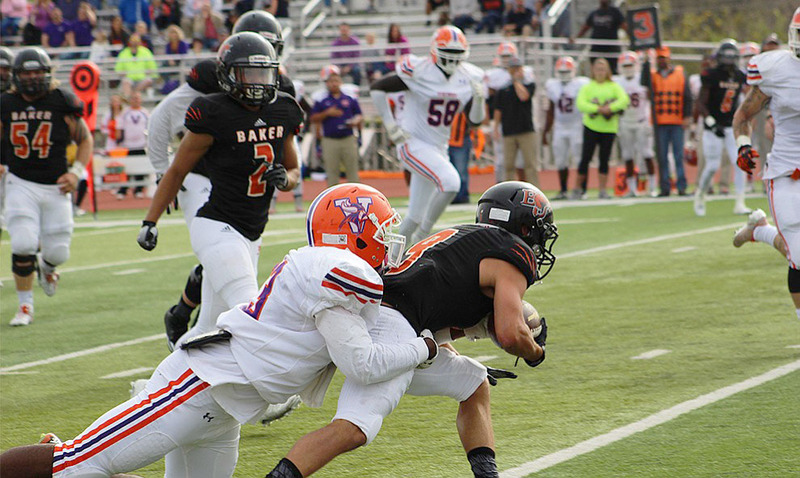 Baker led Missouri Valley 24-14 at the end of the first half after the Vikings took advantage of a late personal foul that kept their final first-half drive alive. MVC scored a touchdown with 22 seconds before the break. The Wildcats were held scoreless in the third quarter and the first 14:14 of the fourth quarter before Brown’s 1-yard rushing touchdown for the win. 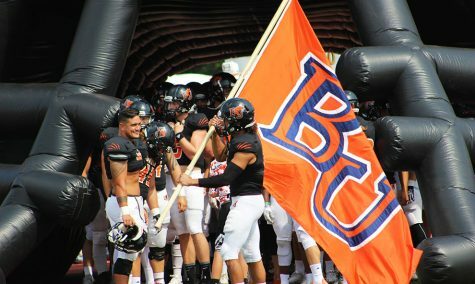 Baker started the game with a 44-yard touchdown pass from Brettell to senior Quanzee Johnson on the team’s opening drive, and the Wildcats followed that score with a 37-yard field goal from junior Clarence Clark. 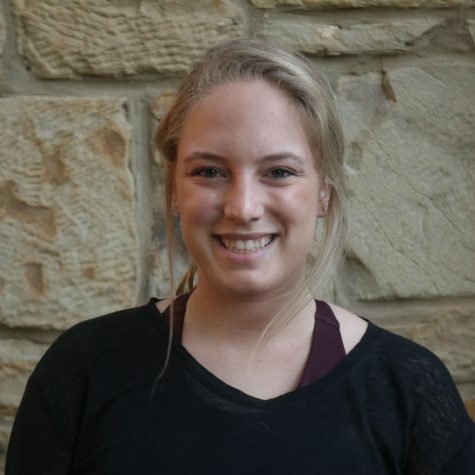 Down 10-0, the Vikings responded with a wide receiver pass to quarterback Jake Bridges for a touchdown to cut Baker’s lead to 10-7 halfway through the first quarter. Johnson scored his second touchdown of the game before the end of the first quarter to give Baker a 17-7 lead. Then Brown rushed for his first score of the game with 2:34 left in the second quarter, and Baker led 24-7. The Vikings then rattled off 21 straight points heading into the fourth quarter, with the late touchdown before half, a touchdown on their first drive of the third quarter and a go-ahead touchdown with 6:26 to play. 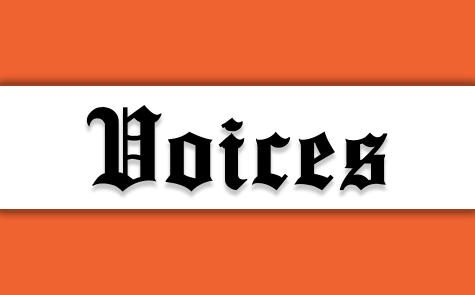 Following the MVC’s fourth-quarter touchdown, Baker pushed the ball into Missouri Valley’s side of the field, but the Wildcats were forced to punt with four minutes to play. Then the Baker defense buckled down and forced a Missouri Valley punt with Baker out of timeouts. Starting at their own 32, Brettell threw five-straight completions to put Baker near the Missouri Valley goal line. Then Brown scored for the second time on the afternoon to give Baker the lead and the packed crowd at Liston Stadium went wild. Baker followed the score by forcing a turnover, and the Wildcats fell on the loose football to seal the win. The Baker offense was outgained 434 yards to 405 yards and only rushed for 50 yards on the afternoon. 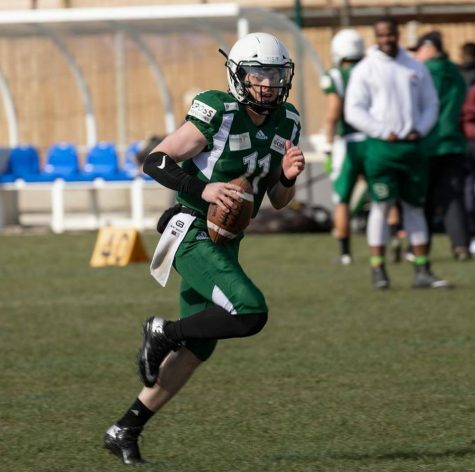 Brettell passed for 355 yards and two touchdowns and has passed for at least 300 yards in six consecutive games. Johnson was Baker’s leading receiver with seven receptions for 116 yards. 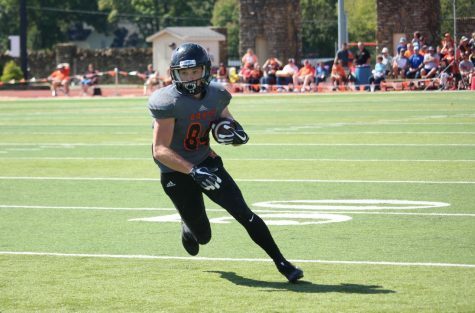 Senior Damon Nolan followed him with eight catches for 113 yards, and Clark caught four passes for 67 yards. Seniors Avery Parker and Kharon Brown led the Wildcats in tackles with 10 each, and Brown sacked MVC quarterback Jake Bridges twice. Senior Darrain Winston intercepted his eighth pass of the season and sophomore Mikeice Adams picked off his second pass of the year. The Wildcats forced three turnovers on the afternoon while only turning the ball over once. With a perfect season and outright South Division title on the line, the Wildcats host the 4-6 Evangel Crusaders at 11 a.m. on Saturday. 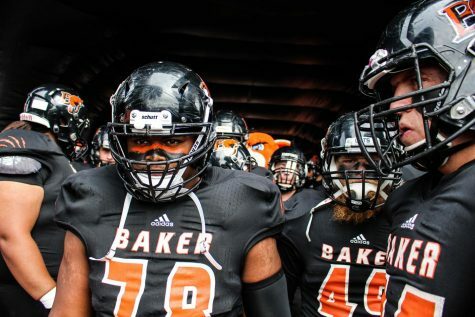 Baker is looking for its first 11-0 start in program history.